2/4th SOLDIERS NOT TAKEN PRISONER OF WAR and returned Australia mostly due to illness/injury 1942. 43rd Water Transport Company and discharged 23 June 1945. Departed Fremantle on HMT ‘Marella’ to Java, joining ‘Blackforce’ attached to 2/3rd Machine Gun Battalion. Admitted sick to hospital in Java from 18 February to 25 February 1942. Embarked 25 February 1942 on H.M. Hospital Ship ‘Wui Sueh” for Ceylon. This ship had departed Singapore on 9 February 1942 to Java and departed Tanjong Priok Harbour, Batavia crowded with patients. Byrne was admitted to 2/12th Australian General Hospital at Columbo, Ceylon on 4 March 1942. Returned by Ship to Melbourne and by train to Perth. 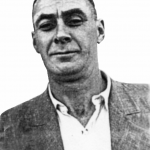 Byrne was discharged 29 June 1942. Died 22 February 1954 Boulder aged 51 years, in a mining accident. Last seen at Ulu Pandan, Singapore. Reported missing from 18 February 1942. Soldier was shell shocked on 13 February 1943 and remained unconscious for seven hours. He was evacuated from No. 1 Malaya General Hospital (believed to be the Alexander Military Hospital, Singapore) to Colombo from where he was returned to Australia, disembarking at Melbourne on 6 April 1942 ex HMT ‘Stirling Castle’ . Gault returned to WA after a period in hospital of three weeks convalescing, and posted to 43rd AA Gun Station. On his first shoot, headaches forced his transfer to 4th Australian Signal Training Unit. From here he was again transferred to 51st Water Transport Company. Discharged 30 June 1944. Strength, General Details Camp Claremont ex-Batavia, the same day. 13th Training Battalion 1 April 1942. 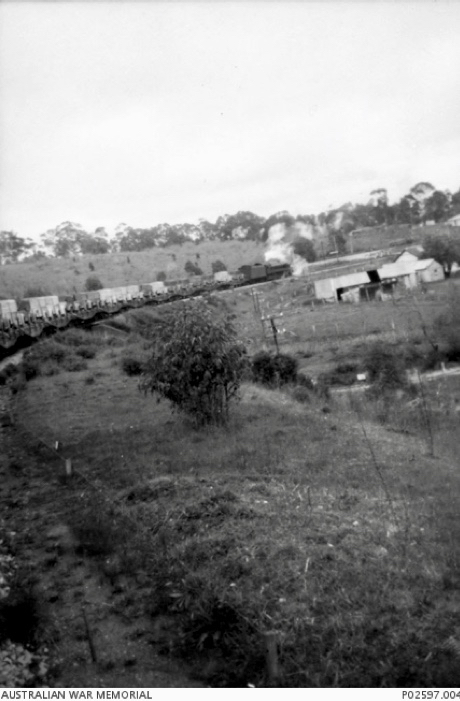 25th Divisional Cavalry Training Squadron 23 August 1942. 3rd Australian Motor Brigade 2 November 1942. 4th Motor Regiment, 1st Armoured Div. 3 November 1942. NCO’s Course 5 April 1943 and discharged 31 January 1944. Remained onboard HMT ‘Aquitania’ at Java and returned to Australia sick. Admitted to 110 (P) MH on 25 January 1942 and discharged to unit on 31 March 1942. 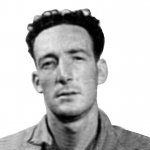 McGrath went on to serve at Wewak, Lae and Aitape with the rank of A/Sgt from 28 August 1943. He was mentioned in Despatches whilst serving with 43rd Water Transport Company. There was an explosion on a landing barge which caused a fire to break out. Acting Sergeant McGrath exposed himself to the flames and rescued an unconscious soldier. Discharged 16 November 1945. Repatriated sick ex-Java. Embarked on HMT ‘Stirling Castle’ at Ceylon on 13 March 1942 and disembarked at Melbourne on 28 March 1942. Transferred to 5th Military District disembarking HMT ‘Egra’ on 13 April 1942. 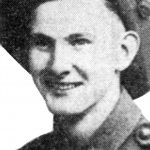 Classified medically fit on 27 April 1942 and Taken on Strength with 2/3rd Machine Gun Battalion on 20 May 1942. Admitted to hospital on 25 November 1942 after an explosives accident and evacuated to 113th Australian General Hospital. Transferred to 115th AGH on 18 December 1942. 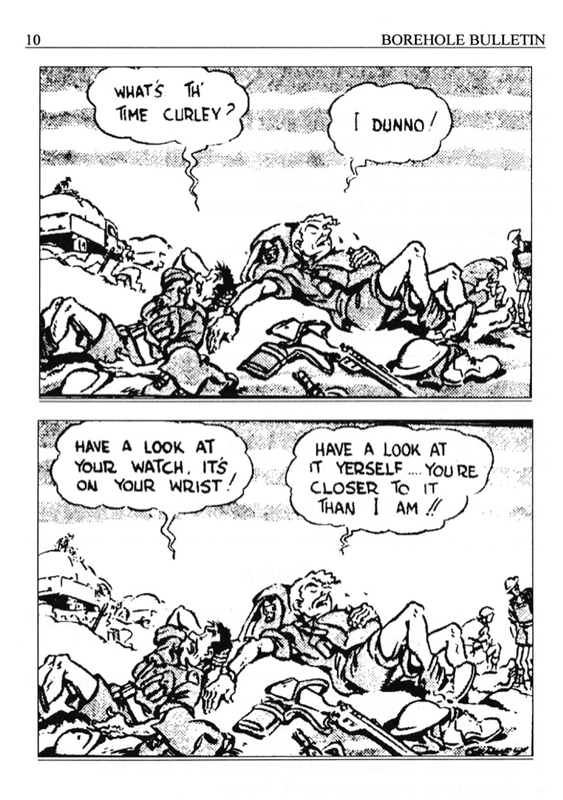 Soldier’s right hand was amputated above his wrist on 9 February 1944. Discharged 4 May 1944. Departed Fremantle on HMT ‘Marella’ to Java. O’Neill was attached to 2/3rd Machine Gun Battalion. He was evacuated sick to hospital ship ‘Wu Sui’ which departed Tanjong Priok, Batavia approximately 20 February 1942 for Ceylon where he was admitted to 12th Australian General Hospital, Colombo. O’Neill was discharged from Hospital on 12 October 1943 on his return to Melbourne ex HMT ‘Stirling Castle’. Discharged 12 October 1943. 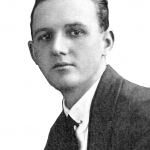 Pritchard remained onboard HMT ‘Aquitania’ at Fremantle. He had fallen 10 feet onto his right foot on 15 January 1942 twisting his knee. He did not trans-ship at Ratai Bay, Java with the Battalion bit remained onboard the ‘Aquitania’ and returned to Fremantle due to synovitis to his knee. An operation was performed on Pritchard’s right leg which was placed in plaster for three months. Soldier then convalesced for four months and after plaster was removed he was Taken on Strength as reinforcements for 2/4th Machine Gun Battalion on 17 July 1942. Taken on Strength with 35th Infantry Battalion on 25 September 1942 and then the reformed 2/2nd Pioneer Battalion on 12 December 1942. Embarked Fremantle HMT ‘Duntroon’ on 23 July 1943 and disembarked Port Moresby on 28 July 1943. Pritchard saw action at Ramu Valley when 2/2nd Pioneers were brought in to replace 2/16th Battalion. He disembarked at Balikpapan from LST 632 (Landing Ship) sometime after 13 May 1945. Discharged 6 December 1945. Departed Fremantle on HMT ‘Marella’ to Java. Assigned to ‘Blackforce’ attached to 2/3rd Machine Gun Battalion at Java. He was returned to Australia sick and arrived in Melbourne on 28 March 1942. No other details are known. Roberts was discharged 18 July 1943. Soldier received gunshot wound to his right thigh on 11 February 1942 and was listed as missing in action. It is believed he escaped to Sumatra. 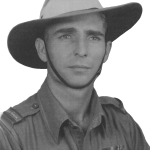 He was admitted to 2/12th Australian General Hospital at Colombo, Ceylon on 9 March 1942. Embarked on HMT ‘Stirling Castle’ for Australia on 13 March 1942 and disembarked Melbourne on 6 April 1942. Disembarked Fremantle on the British ship ‘Egra’ on 13 April 1942. 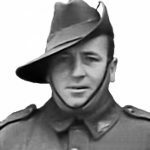 On 13 March 1944 Taken on Strength with 2/3rd Machine Gun Battalion and joined the 1st Australian Machine Gun Training Company on 6 August 1944. Discharged December 1945. Listed as missing in action, believed killed at Sungei Jurong, Sibgapore. It was later discovered soldier had escaped to Sumatra and been picked up by HMAS ‘Hobart’ at Padang on west coast of Sumatra and taken to Ceylon. On arrival at Columbo on 9 March 1942 he was admitted to 2/12th Australian General Hospital. On 13 March 1942 he boarded the ‘Stirling Castle’ and disembarked at Melbourne on 6 April 1942. From Melbourne to Fremantle he sailed onboard the ‘Egra’ disembarking on 13 April 1942. 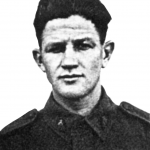 On his return to Australia he was Taken on Strength with the reformed 2/3rd Machine Gun Battalion on 1 July 1942. 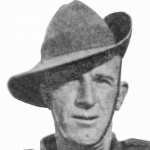 Taylor served on Bougainville with 58th Australian Corps Battalion Field Park Company. Discharged 26 February 1946. 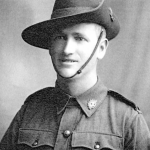 The following soldiers never left Australia and died whilst serving with AIF. 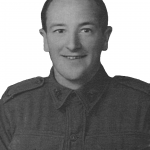 WX7629 BUGG FREDERICK – died 29 September 1941 at Woodside Army Camp, South Australia where 2/4th MGB was training. Please read further. 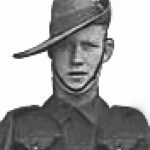 WX8433 HALDANE ROBERT WILLIAM – drowned 9 January 1942 aged 18 years at Sydney Harbour. Please read further.